Recently, I was asked to become a member of the Down Syndrome Footprint Board of Directors. What an honor! I am excited to join a company that is dedicated to the awareness, empowerment, and employment of those with Down syndrome. After I was asked to join this group, I decided to send a press release to several local publications, newspapers and Chambers of Commerce. My theory with sending the press release was that it would be great publicity for Down Syndrome Footprint and it would also tell people about my business, Feather Communications. When I wrote the press release, I was careful to be very specific about the reason for writing it. 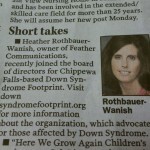 The title read, “Feather Communications Owner Joins Down Syndrome Footprint Board of Directors.” However, when I sent the press release to my hometown newspaper, the Colfax Messenger, I titled it, “Colfax-Based Business Owner Joins Down Syndrome Footprint Board of Directors.” It is important to make the press release directly connected to the media outlet. I sent the press release on a Thursday and it was already printed on Sunday. Press releases do work. Be sure they are timely, have meaning to the media outlet, outline specific details, and include a picture. The picture draws more attention to the press release and it allows for more recognition with your company. The next time your company has interesting news, the owner joins a new organization, a certification is achieved, or a milestone has been reached, consider sending a press release. Press releases offer free publicity and a way for your company to be in the news and, perhaps, BE the news. We all know that it is important to have testimonials to promote our businesses. I use them on my website and have also utilized them in my marketing materials. Think of a testimonial as a customer reference for you. It’s a chance to showcase your satisfied customers and a method of marketing your own products and services. So, having these testimonials is a wonderful idea. Now comes the hard part. You have to ask your clients to write a glowing review about you and your business. Let’s face it: this can be awkward. Most business owners or marketing professionals may not feel comfortable asking a client for a testimonial. The ironic part is that most people are more than willing to write a testimonial for you—you just have to ask. Thank you again for choosing our company for your marketing needs. We are pleased to have you as one of our most valued customers. Currently, we are updating our marketing materials and website information to better serve potential clients. Because you have experienced our quality service, we would like to give you the opportunity to participate in this marketing update. Would you be willing to write a brief (3-4 sentences) testimonial for our company? 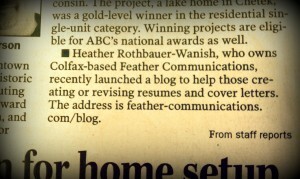 The testimonial can simply answer the question of: Why do you conduct business with Feather Communications? Our company appreciates your assistance with these efforts. If you agree to provide this information, please send the testimonial prior to Friday, May 20. Please contact me at 715-555-5555 if you have any questions. My advice for testimonials? Carefully decide who you want to contact for this information. Not all testimonials are equal. A testimonial from the local beauty shop is great for local clients. However, choosing someone with more prominence will allow you to go beyond your current realm of clientele. Don’t be afraid to ask for testimonials from satisfied clients. These can be wonderful marketing tools that can propel your business towards additional clients. If you have a list of satisfied clients, that is terrific! If that list sits in a drawer and you review it now and then, it can make you feel good about your business and yourself. But, other than a feel-good “pick-me-up,” you are probably getting very little from these “good” news items. Now, what if there was a way to leverage that list for even more potential power? Why not utilize these thrilled, ecstatic, and beyond-satisfied customers in the form of a testimonial? You can also think of this as a recommendation or a reference—either way the compliments of one customer can mean a great deal to a potential new client. Knowing/seeing/hearing that other clients are happy with the work you do can mean the difference between landing a new account or seeing it go to the competition. So, how have I utilized these testimonials? I have used them on my website and in my brochures. Furthermore, they have been wonderful to have when future clients have asked for references or examples from previous clients. In addition to showing them an article I have written, I will also include the testimonial from the appropriate editor/client. And, if you have been a superb vendor to a client, they are usually more than happy to provide a testimonial. In fact, I have found that clients are happy to help another business owner by doing this. Don’t be afraid to ask for a testimonial. If you have done a great job working with someone, why not let more people know about it? After all, if you don’t “toot your own horn,” who will? 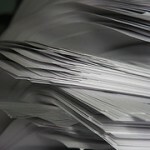 So, you may have decided that a press release is a fantastic idea for your company. It’s free, it’s fairly easy to send to media contacts, and it’s a good way to promote your business. Now comes the tough part. What are you going to write about? Many clients say, “I don’t really have anything significant to tell people.” And, it’s true that you don’t want to bombard local media contacts with press releases about insignificant topics. When it comes to a press release, quality trumps quantity. However, I often find that businesses have more to share with readers than what they may originally believe. Sometimes it takes an outside source to find these key ideas and develop a press release that is newsworthy. And, that is where Feather Communications can assist businesses. Does your company have an anniversary in the near future? Have you recently hired a new salesperson or a new personnel manager? Do you have a new service or product that was just released? Is your company newly-certified in a particular expertise area? Sometimes just asking the above questions will allow clients a chance to reflect upon the recent occurrences in the business. 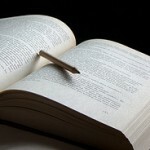 This will help ideas flow and soon you will find your press release topic. Remember—it is your job to promote your company—no one else will do it for you. Asking questions, critically thinking about your business, planning events, and jump-starting your creativity will allow you to find that next press release topic. It could be the topic that lands you in the local media, adding to additional contacts, knowledgeable customers, and a growing client base. As a writer, I have had the opportunity to work with clients on developing press releases for their businesses. As a business owner myself, I take full advantage of press releases and send them when I have something interesting or new happening at Feather Communications. Recently, I sent a press release about this blog site. Why would I write a press release about my blog? Because I see this blog as a way of staying in touch with clients and potential clients, I want as many people to know about it as possible. And guess what has happened? My press release (or a portion of it) has been printed in the Bloomer Advance, Eau Claire Leader-Telegram, the Greater Menomonie Area Chamber of Commerce Newsletter, and the Eau Claire Area Chamber of Commerce Newsletter. What does this mean for Feather Communications? It means a larger draw to my blog site which will lead to assisting even more people. Watch for future blog posts on this site to help determine when you should write a press release and questions to ask yourself before beginning the writing process. Remember, your business is important and has news to share. 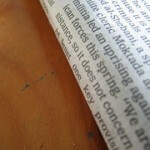 Why not promote your business through a press release? It’s free, informative, and a great way to support your business.